Botulinum Toxin is a brand name of an FDA-approved injection which is made of a neurotoxin called Botulinum Toxin Type A. Botulinum Toxin can be used to treat a variety of issues ranging from migraines to muscle spasms to excessive sweating (hyperhidrosis) of the axilla, palms of the hand, and soles of the feet. 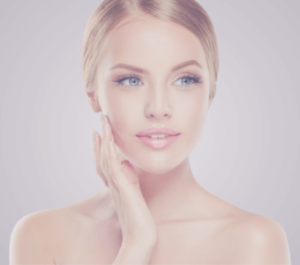 For cosmetic issues, Botulinum Toxin may be used to combat dynamic wrinkles. 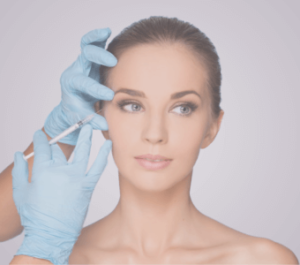 What is Involved in Botulinum Toxin Injections? Prior to the injection, the site to be injected will be treated with either a topical anesthetic which sits for 30 minutes or a cold pack. Then, with the use of very small needles, and exact concentration of Botulinum Toxin is deposited into the desired target muscle such as the forehead, glabella, and/or crow’s feet. Over the course of 1 to 2 weeks, the Botulinum Toxin reduces the active (dynamic) wrinkles. The procedure is performed in the office. Using It is recommended that you avoid strenuous activities for 24 to 48 hours after the procedure. Up to 80% reduction in wrinkle production may be seen after treatment. Results last from 3 to 6 months. Discomfort and downtime are minimal. How is Botulinum Toxin Used for Overactive Sweat Glands (Hyperhidrosis)? Hyperhidrosis can cause significant impairment in one’s self-confidence and even impact job performance and functioning. For the treatment of hyperhidrosis, Botulinum Toxin is injected into the area just below the dermis where the sweat glands reside. The toxin diminishes or prevents sweat gland function. This treatment is very well tolerated in the office and generally has high patient satisfaction. For more information on Neurotoxins, or to schedule a consultation, call Peak Rejuvenation at (970) 259-5990 or Request a Consultation.